Driving under the influence of alcohol/drugs/ prescribed or over-the-counter medications that can affect the driver’s ability to operate a vehicle safely is considered a Driving Under Influence (DUI) or Driving While Intoxicated (DWI) offense in every state and is unlawful under DUI laws. To detect that the driver’s ability to drive safely was impaired by alcohol or drug consumption, a police officer needs to conduct tests on the driver. Field sobriety tests are simpler and done to assess a person’s physical and cognitive impairment while driving. Chemical tests like using a Breathalyzer to measure the blood-alcohol concentration (BAC), or urine and blood tests may be performed with the driver’s consent. In all states implied consent laws make it mandatory for vehicle drivers to agree to some form of chemical test if they are suspected of a DUI offense. Refusal to get these tests done can invite harsh penalties like driving license suspension for a period of six months to one year. In all states, if a driver is “per se intoxicated” which means he has a BAC of 0.08% or more, no additional evidence of impairment is requirement. Exhibiting intoxicated behaviour even without the required BAC can also lead to arrest. There are zero tolerance laws where drivers under the legal drinking age of 21 years are targeted, and even a trace of alcohol in their blood can lead to penalties. Criminal penalties can be levied upon the driver including monetary fines, probation, prison sentence or community service. In driving penalties, even if the person refuses a BAC testing, suspension of the driver’s license can be done. In both – Criminal penalties and Driving penalties, any prior DUI violations will have an impact on your case. 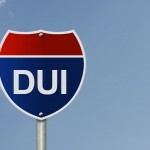 To get out of troubles associated with DUI charges, an experienced DUI lawyer should be consulted. S/He can lawfully evaluate your case and evidences and accordingly present your case in court in your favour.